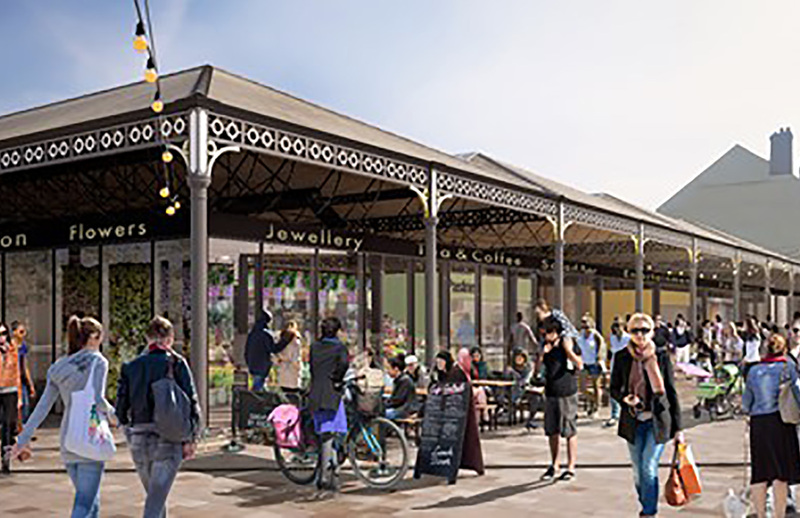 The new design for the famous and historic Wool Market has been unveiled as plans to transform Doncaster Market continue at pace. 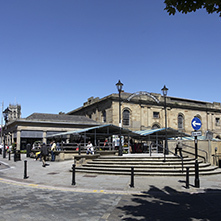 More than £3 million of Sheffield City Region SCRIF funding has been secured by Doncaster Council to revamp the jewel in the crown of the town centre, the award winning market place. 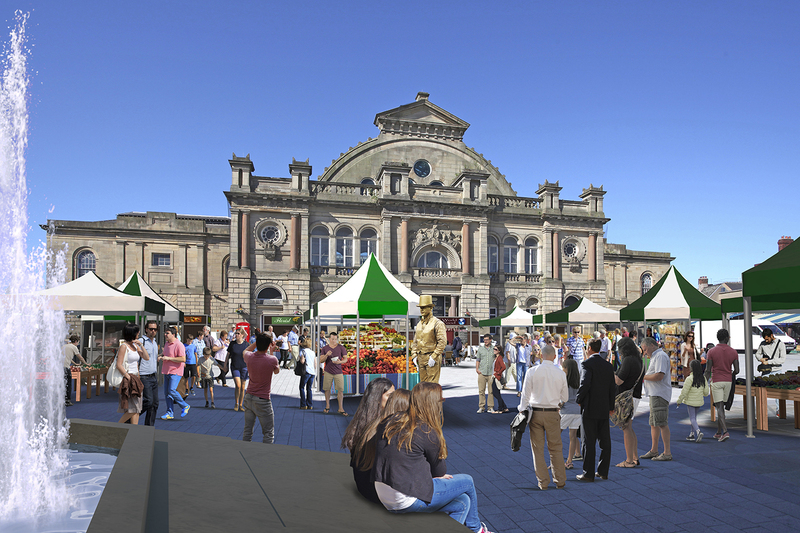 The aim is to transform the market area into a vibrant and bustling location all week long and into the evenings. Recent research indicated residents and visitors to the borough backed the plans and would become advocates recommending the markets to their friends and family. Doncaster Market has appointed Quarterbridge to boost the market retail presence in Doncaster and to help steer the whole market estate as smoothly as possible towards a shared ambition of becoming the single largest retail destination in Donnie’s town-centre. 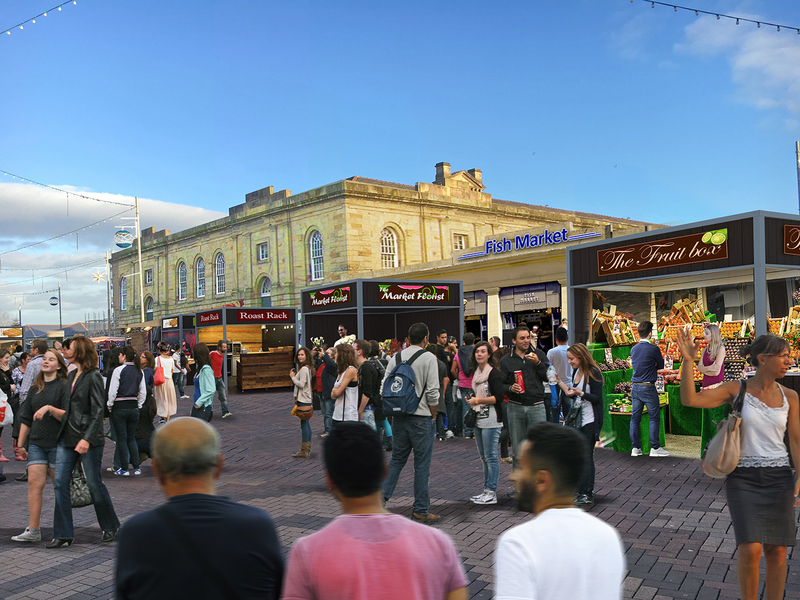 As part of the work currently being undertaken by The Council and Quarterbridge, visions for the market estate will improve shopper flow within the market, add plenty of street food offers and entertainment aimed at extending the working week and also to drive and family orientated evening economy.